Vulcan and VULCAN PROSeries car tie downs are guaranteed to haul any car, truck or work vehicle safely and easily.  These DOT compliant vehicle tie down systems have been specifically designed to haul cars, vans, SUVs, light trucks or heavy duty trucks. The over the tire straps grip the tire treads with tough rubber cleats and use the proprietary Rolling Idler wrap around tie down system for extra strength. Basket straps encapsulate the tire for a snug, secure tie down, and many even tie down to the side rails of a flatbed, so you can turn your regular truck into an auto hauler. Axle tie downs are a very secure way to haul any vehicle and are available with snap hook ends or chain anchors. We even offer e-track car tie down systems for hauling on flatbeds or inside vans. Need help selecting the proper tie down? Click here for our easy tie down flow chart. Vulcan Hi-Viz Flat Bed Side Rail Tie Down w/ Flat Hook - Safe Working Limit - 3300 lbs. Vulcan Hi-Viz Flat Bed Side Rail Tie Down w/ Snap Hook - Safe Working Load - 3300 lbs. Vulcan Hi-Viz Flat Bed Side Rail Tie Down w/ Chain Anchors - Safe Working Load - 3300 lbs. Vulcan Hi-Viz Adjustable Loop Car Tie Down Kits w/ Snap Hooks - Safe Working Load - 3300 lbs. Vulcan Classic Yellow Adjustable Loop Car Tie Down Replacement Straps - Safe Working Limit - 3300 lbs.